Giving up Smoking for good is hard. 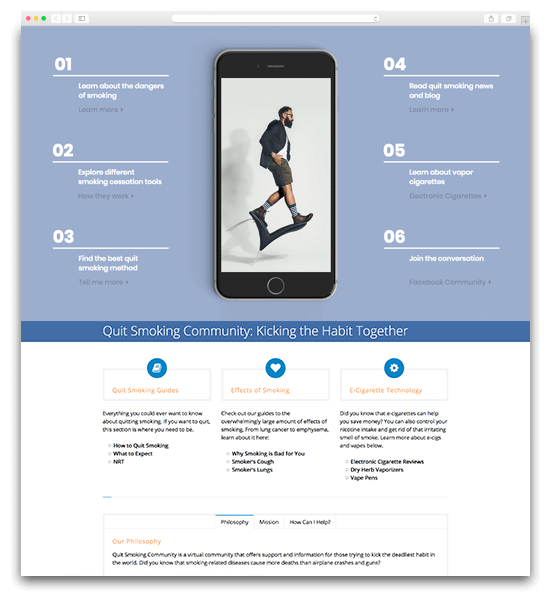 When it comes to quitting smoking, it often helps to know that there are others in the same boat. It’s also useful to hear about what they’ve done that’s helped them either cut down on cigarettes, or give them up completely. If you’re one of the 15% of the UK population who smokes, why not make today the day you decide to quit? These useful blogs and resources will help you get started. 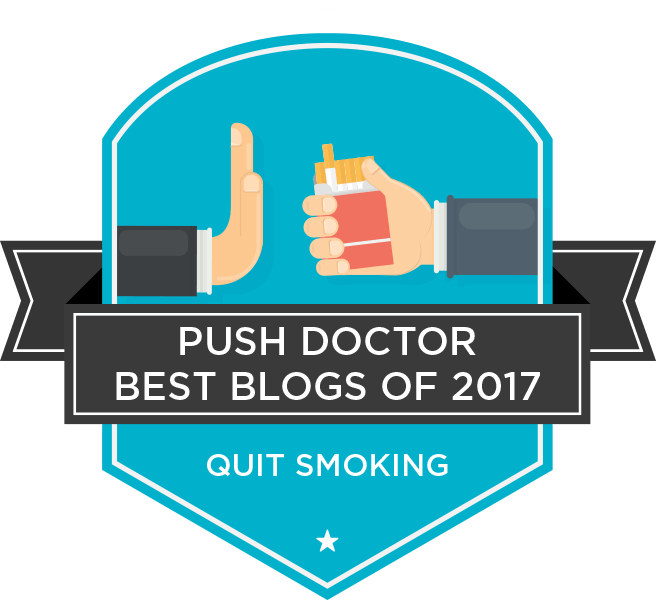 Take a look out top smoking blogs of 2017! 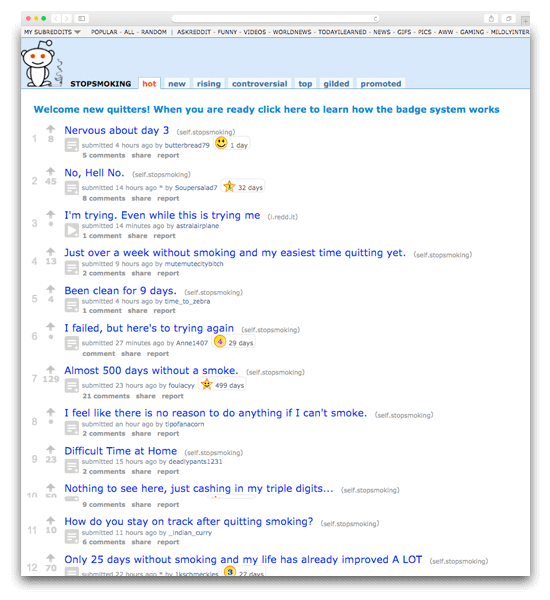 Reddit is full of threads started by people celebrating their successes and sharing their stop smoking secrets. Topics range from how to succeed when no else believes you can, to how to stop yourself buying cigarettes when you’re drunk! This is a great option if you’re the sort of person who likes to join the conversation. You can ask questions, or share your own successes with others on the same journey as you. This blog is packed full of useful resources, including stop smoking products, quitting plans and timelines, ways to manage side effects of giving up, helplines and self-help groups. 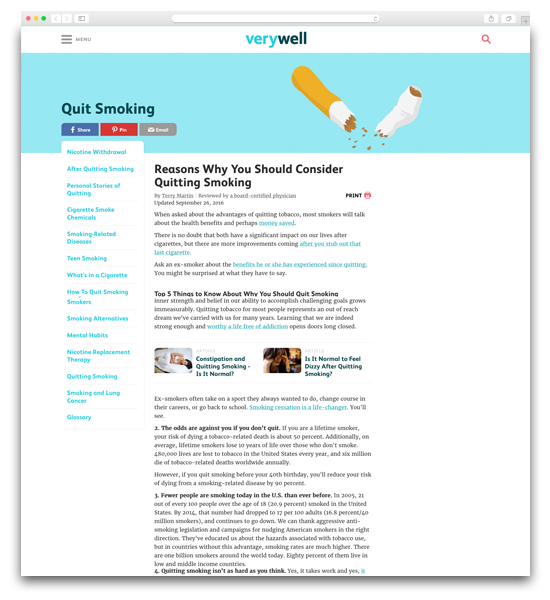 The Quit Smoking Community also digs a little deeper to see how so-called ‘cures’ really work and if they stand a chance of keeping you off cigarettes long term. Posts are often written by successful ex-smokers, so you know the advice is sound. A disclaimer, before we start. Research is still ongoing into the effect of e-cigarettes on your health. For now, we’d advise only using them as a way to wean yourself off cigarettes, rather than simply replacing them. Assuming that’s what you’re doing, the Ashtray Blog is a useful resource. 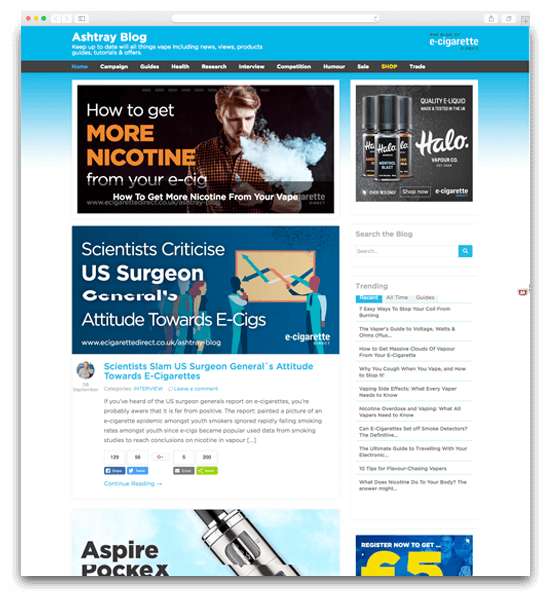 You’ll discover how to use and refill e-cigarettes correctly and gain lots more practical knowledge on how they can help you. You’re probably familiar with Stoptober, the annual event that encourages you to give up smoking. To coincide with this, The Huffington Post created this infographic that’s as true now as it was when it was created in 2013. It’s a pretty stark list of what can happen to your health if you continue smoking. We think you’ll agree, it’s a pretty persuasive argument for giving up! Verywell offers a hugely in-depth resource that covers a broad range of relevant topics. You can find out about how to deal with the side effects of quitting, what to do when the urge to smoke is at its strongest, and the effect giving up will have on any other medication you’re taking. It’s an extremely useful information hub that you shouldn’t go without. 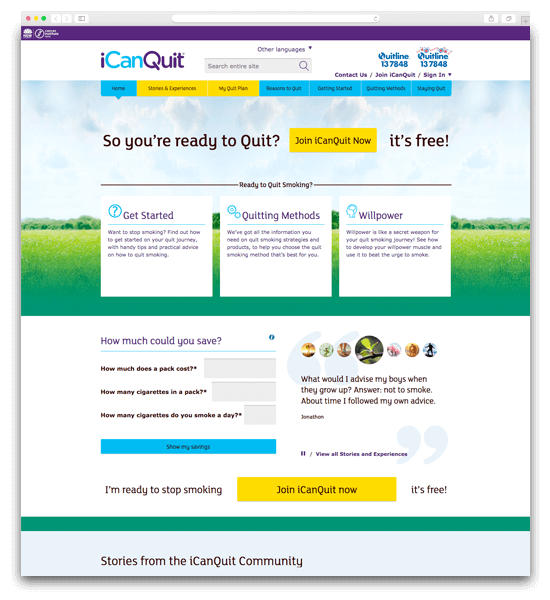 A useful resource from Australia, ICanQuit pays attention to the practical side of giving up smoking. Not only will they help you begin your journey, they’ll show you how to work your strategy into your daily life and help you deal with any difficulties in the first few months after you decide to quit. The ‘Stories and Experiences’ section is particularly useful, as you’ll find first-hand accounts of how to bounce back if you fall off the wagon. 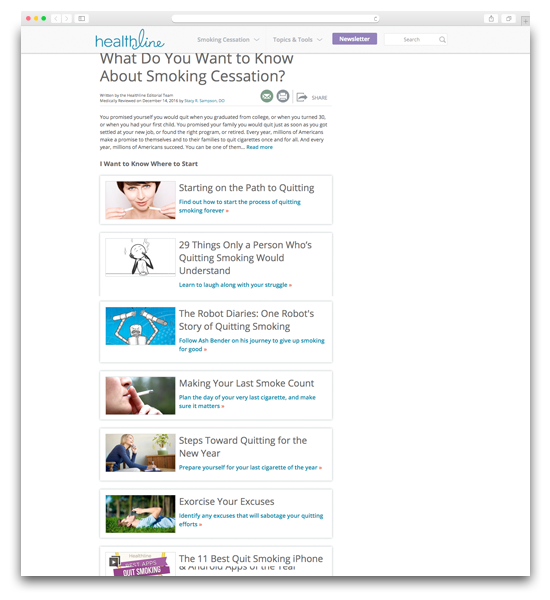 Healthline’s stop smoking info is helpfully divided into a number of sections, including how to get started with your stop smoking plan, how to help a loved one give up and information about what smoking does to your health. Whatever question you have, chances are it’ll be answered here. Our doctors can discuss your symptoms and suggest the best way to look after your mental health.